If there's one thing I could change about Melbourne's booming breakfast scene it would be the savoury snack. Sweet treats we've got well and truly covered, and if you've time to sit down for a full plate then there's more egg-centric options than you can poke a stick at. But if you're after something small and savoury there's toast, perhaps an egg-filled bun or muffin, and that's about it. But when I say I'd like there to be more small, savoury options what I really mean is that I wish more places would make savoury Danish. So today's home baking challenge was threefold: new recipe, new filling, new shape. The recipe was a Danish dough with sponge, and while it had a nice flavour thanks to the added fermentation step I wasn't all that impressed with the final outcome. No doubt flawed in part due to my handling I'm also learning that, when it comes to viennoiserie, those that use a heavily-enriched dough just aren't for me. I prefer pastries with a vaguely stretchy, perhaps even chewy texture, so when the inclusion of extra butter and eggs lends an almost cake-like crumb I'm left feeling somewhat underwhelmed, and thinking I should have instead made brioche fueilletée. First make the sponge by mixing together all the ingredients, until well incorporated. Cover and leave to ferment at room temperature (18-21°C) for 12-16 hrs. The next day, combine all the final dough ingredients—except the butter for beurrage—in the bowl of a stand mixer and bring together on first speed until everything is incorporated. Increase to second speed and mix until the dough is moderately developed. Cover and leave to ferment at room temperature for 1 hr, before transferring to the fridge and leaving to ferment for an additional 1 hr. 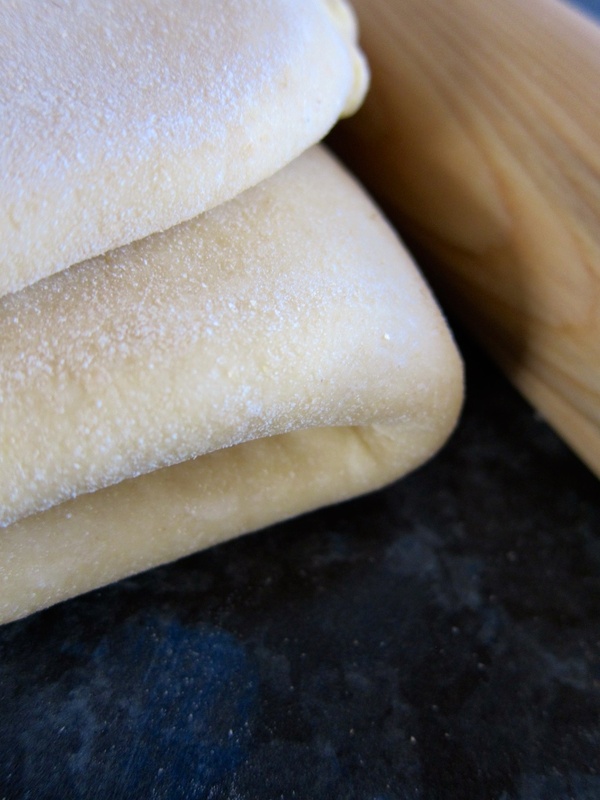 Turn the dough out onto a lightly-floured surface and roll into a rectangle the same height, and roughly twice as wide as the butter for beurrage. Place the block of butter in the centre of the dough and fold the two sides in so that the butter block is now wrapped in dough ("locked in"). Rotate the dough block 90° so that the open ends point to the sides, and roll out until 12-mm-thick. Fold the dough in thirds (letter fold), cover, and refrigerate for 30 minutes. Repeat the rolling and folding process twice more, followed by a final 30 minute rest in the refrigerator. Take half of the dough block and roll into a 40-cm high rectangle 4-5-mm thick. Brush with egg wash and fold in half. Cut 2-cm-wide strips (having the fold as one end), then stretch each and twist from both ends. Secure the closed end to the bench and wrap the twisted strip around the centre to form a spiral. Secure the tail under the pastry then transfer to a lined baking sheet and brush with egg wash. Leave in a warm place (26°C) for 1.5-2 hrs, until the dough is risen and the layers of lamination are just starting to separate. Brush again with egg wash, then degas the centre of each pastry and apply your filling of choice. Bake in an oven pre-heated to 200°C for 13-16 minutes, until golden brown. A full block makes around 25-30 pastries.